Not all websites are the same. From personal blogs to business websites, online shops to community forums, SaaS applications to video streaming services, websites come in all shapes, sizes and flavours. It follows that not all websites have the same uptime requirements. 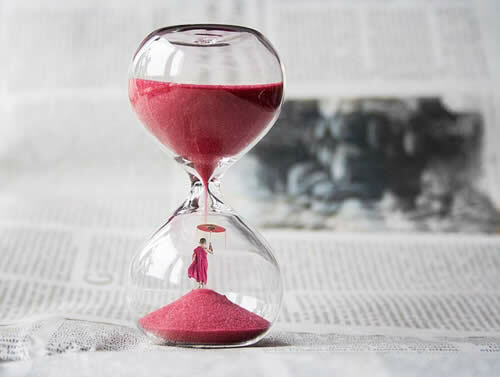 If a personal blog goes down for 20 minutes it might not be a big problem, but the same downtime for a popular online shop could be a major concern. With this in mind we developed a feature which enables the timing of alerts to be customised specifically for each website monitor. For each monitor, you can set a custom alert time. This is the time that the website must remain down, before an alert is sent. The alert time can be set to instant, 1, 2, 3, 5, 10, 15, 30 or 60 minutes. If a monitor's alert time is set to instant, an alert would be sent as soon as the website goes down. If it's set to 5 minutes, an alert would be sent if the site stays down for longer than 5 minutes. If you monitor multiple websites you can set different thresholds for each monitor. You could set your personal blog's alert time to 15 minutes and your business website's to 3 minutes. It's possible to set different alert times for email and SMS alerts on the same monitor. For example, the email alert time could be set to 3 minutes while the SMS alert time is set at 10 minutes. If the website stays down for 5 minutes then you'd receive an email alert but no SMS alert. However, if the site stays down for 12 minutes, you'd receive both email and SMS alerts. Do alert times affect stats & logs? No. Alert times only affect when alerts are sent. Every downtime, no matter how short, is recorded and can be viewed in the monitor's logs and stats. For example, if you set an alert time to 5 minutes and the website goes down for 4 minutes, no alert would be sent but the details of the downtime would be logged and the 24 hour stats would show as 99.722% uptime. Custom alert times are really useful for monitoring websites on servers that are slow. There are many reasons that a website can be slow including hosting on overloaded servers or using bulky content management systems. In an ideal world we'd all have super-fast websites but in reality, budget and time constraints mean that a lot of websites run slowly - 30% of the web now runs on Wordpress! When a website fails to return a response to Downtime Monkey within 30 seconds it is marked as down due to timeout. 30 seconds is a long time for a site to respond (we're not talking total page load time here - just the time for the page to respond) and for a well optimised site this should almost never occur (see how to speed your website up). However, for slow websites this can occur fairly regularly with the result that they may receive a lot of alerts. The default alert time for email alerts is 1 minute so alerts will be sent if a website times out for two consecutive checks, one minute apart. For SMS alerts, the default setting is instant so every time a site times out an alert will be sent. With a custom alert time in place, you can decide how long a site should be allowed to be down for before you're alerted. Setting a slightly longer period of, say, 5 minutes can really cut down on the number of alerts reecived from slow sites but means you'll still be informed if a prolonged downtime takes place. If you monitor several websites then setting a custom alert time is a good way to cut down on the number of alerts that you recieve, while still getting notified if a site goes down for a longer period. For users who manage a lot of sites we also recommend that you rate limit your SMS alerts. This is an advanced feature and is only available to Pro users. Login and navigate to Add Monitor. Login, navigate to Monitors, and select the gear icon to edit the monitor's settings. Select a time from the dropdown menu under 'Downtime before sending email'. Here the alert time is set to 5 minutes. Select a time from the dropdown menu under 'Downtime before sending SMS'. Here the alert time is set to 10 minutes. If you'd like to propose an additional feature for Downtime Monkey, login and submit a feature request via the feedback form.